Alice is About to Adventure in Wonderland! My Alice in Wonderland Cast! 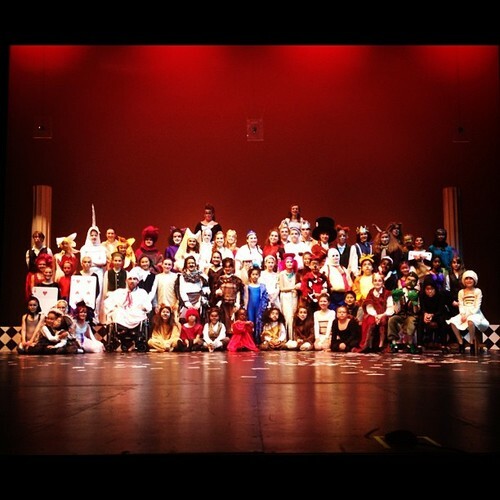 [One of Two anyway…] So proud of all these actors! Can’t wait to share it with you. Cast A opens tomorrow Thursday August 9th @ 7pm and performs Saturday August 11th @ 2pm & 7pm. Cast B [pictured above] opens Friday August 10th @ 7pm and performs Sunday August 12th @ 2pm & 7pm. Come by and take a trip through Wonderland. It won’t disappoint! This entry was posted in Bellevue Youth Theatre, Directing, Teaching Artist. Bookmark the permalink.